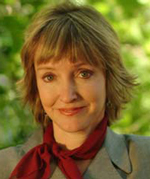 Debra Jeter is an Associate Professor of Management in the Owen Graduate School of Management at Vanderbilt University. She received her PhD in accounting from Vanderbilt University. Dr. Jeter has published articles in The Accounting Review, The Journal of Accounting and Economics, Auditing: A Journal of Practice & Theory, Contemporary Accounting Research, and Accounting Horizon, as well as in popular magazines including Working Woman and Savvy. She has co-authored one previous book, Managerial Cost Accounting: Planning and Control, and chapters in others. She has taught at both the graduate and undergraduate levels and is currently teaching financial reporting to MBA students and Masters students in accounting and finance. Dr. Jeter has also taught financial accounting in the Executive International MBA program for the Vlerick School of Management in Ghent and is a regular Visiting Research Professor at the University of Auckland. Debra has won three teaching awards as well as an Outstanding Alumnus Award from her undergraduate university, Murray State University. Her research interests extend to financial accounting and auditing, including earnings management, components of earnings, audit opinions, and the market for audit services. She practiced as a CPA in Columbus, Ohio, before entering academia. In 2011, she was a screenwriter of the film Jess & Moss, which premiered in the New Frontier Films category at the Sundance Film Festival.